Twenty years have passed since the Prime Evils were defeated and banished from the world of Sanctuary. Now, you must return to where it all began-th town of Tristram-and investigate rumors of a fallen star, for this is the first sign of evil's rebirth, and an omen that the End Times have begun. 07-21-2014 ddwkc Box Text EVIL IS IN IT'S PRIME Twenty years have passed since the Prime Evils were defeated and banished from the world of Sanctuary. Now, you must return to where it all began-th town of Tristram-and investigate rumors of a fallen star, for this is the first sign of evil's rebirth, and an omen that the End Times have begun. 12-09-2012 artikskarab Box Text EVIL IS IN IT'S PRIME Twenty years have passed since the Prime Evils were defeated and banished from the world of Sanctuary. Now, you must return to where it all began-th town of Tristram-and investigate rumors of a fallen star, for this is the first sign of evil's rebirth, and an omen that the End Times have begun. 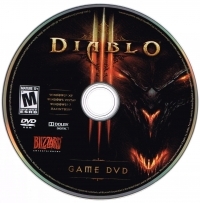 This is a list of VGCollect users who have Diablo III in their Collection. 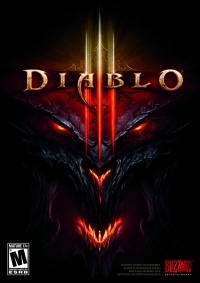 This is a list of VGCollect users who have Diablo III in their Sell List. 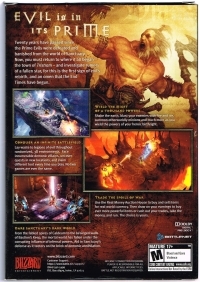 This is a list of VGCollect users who have Diablo III in their Wish List.